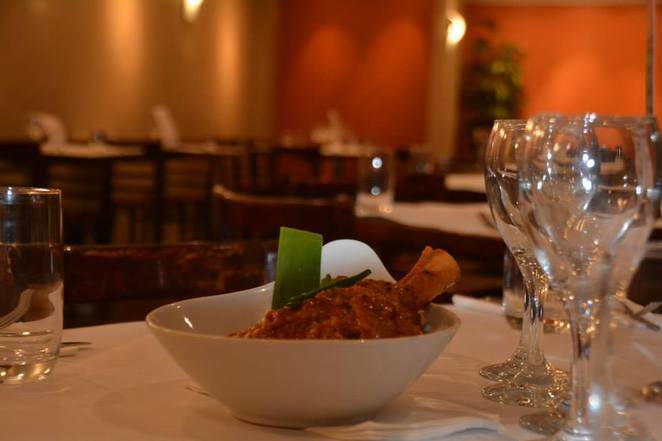 Recently a friend of mine mentioned a list of his favourite restaurants on the Northern Beaches; one happened to be Periyar Indian Restaurant at Collaroy beach. At first, I said Indian isn't my favourite as the rich sauces tend to upset my stomach. My friend grabbed my hand and said "Wendy, you must try this restaurant, it is South Indian cuisine and believe me it is quite different to the traditional Indian food you have tasted." North Indian dishes are much heavier and creamier. South Indian dishes are influenced by rice and coconut with also a higher water content. 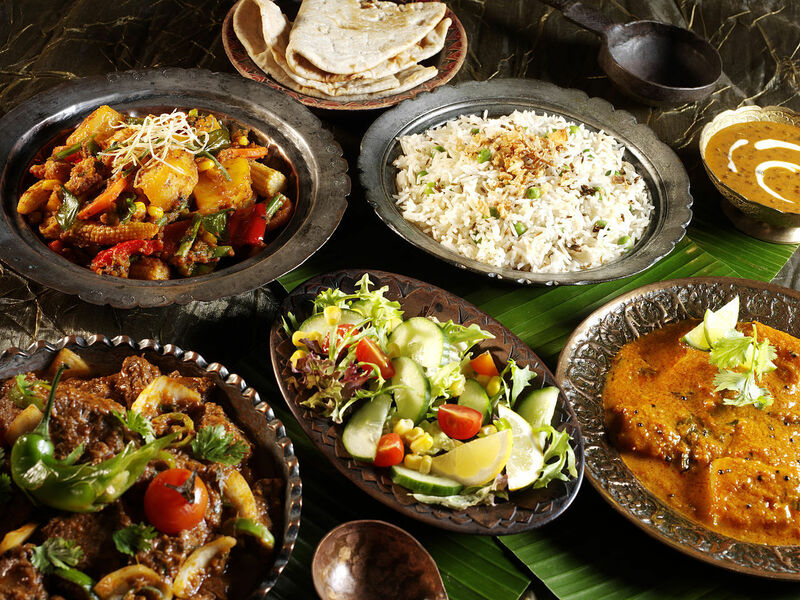 South Indian cuisine is considered lighter and healthier. I liked the sound of this and I had often walked past the restaurant he mentioned wondering what it was like. So it was a Saturday night and wanting to try something new I managed to talk my partner into taking me there. We hadn't booked, but were instantly welcomed with a smile. The interior is modern and very clean and you also have the option for outside seating. Our waiter showed us to a lovely table by the window and another gave us the menu. 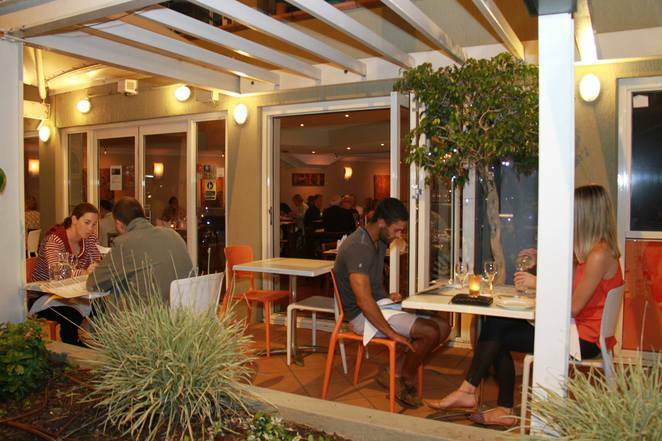 The restaurant is fully licensed but also allows BYO wine. We had our Champagne uncorked and shortly after the manager took the time out to come and introduce himself. Nishant immediately makes you at ease and familiar. He is very friendly and polite explaining the food and the ingredients. I could tell by his explanation of menu ingredients and cooking processes that the Chef cooked with love. Nishant comes from the Gujarati town of Vadodara. He came to Australia to formally receive education in Hospitality Management. 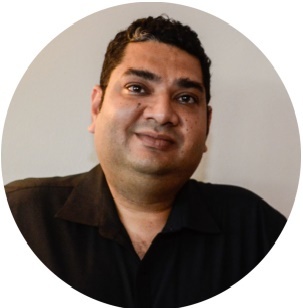 On finishing his degree, he began working at Nilgiri's – an award-winning restaurant located in Sydney. Nishant studied everything there is to know about restaurants, not only food service and managing staff, but all about cooking authentic Indian delicacies. 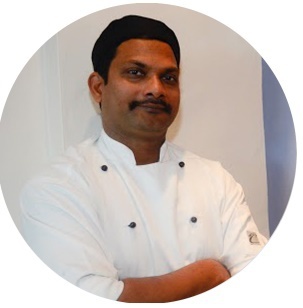 Along with the Chef, Srinivas Saka, they create authentic Indian dishes made the way they do in South India. Chef Srinivas Saka was born in a humble village in Andra Pradesh, a state in Southern India. He loves the art of cooking with the flavours of South India. Having worked at Ramada, many food festivals and other award winning Indian restaurants he is now proud to have opened his very own, Periyar. We were delighted with the menu. At first, we weren't sure what to choose as it all looked delicious. Deciding on sharing two entrees, Raita of the day, Naan bread and a main dish. Crispy semolina coated prawns spiced with black pepper and curry leaves, served with saffron sauce. I loved this dish, the light batter wasn't oily at all. The prawns were covered in a light crisp slightly spiced batter and were tender and juicy. The addition of the saffron sauce was perfect. Yoghurt with grated cucumber and roasted ground cumin. Lentil flour thin, crisp wafer flavoured with pepper and other spices with mixed pickles, mango chutney. These side dips were the perfect accompaniment. Pan cooked fish marinated with pickling spices. Served with mint & tomato chutney. This was barramundi and it was so delicious. Perfectly cooked falling apart in your mouth with plenty of flavour. Plain flour bread stuffed with dry fruits, coconut and honey. I was loving the food, so delicious. This naan bread was so good. Just the right texture and thickness. It went well with the main dish sauce. Lamb shanks cooked with the aroma of cinnamon, bay leaves, turmeric, coriander and garam masala. The meat fell off the lamb shanks and the sauce was exquisite. It had a delicious tangy smack of flavour without being too spicy. I couldn't stop telling the waiters how heavenly the dishes tasted. Aromatic, mild and sweet rice, garnished with saffron and dry fruits. This rice was light and fluffy and went very well with the lamb shank. By this stage, we were totally full and I was a little disappointed I couldn't fit in a dessert. I vowed to come back soon. I am now a big fan of South Indian food. I guarantee you will love the food at this restaurant. Do check it out if you live on the Northern Beaches and even if you don't live near, it is well worth a drive. The dishes you mention are from North India!